Need to remove the audio track of a movie? iMovie on the Mac can make quick work of that, so as long as you have iMovie in OS X you’ll be on your way to turning a movie with sound into a silent movie. This is helpful for when you need to add a new audio track, record a new audio track, or just remove an existing background audio track for whatever reason on any video file. 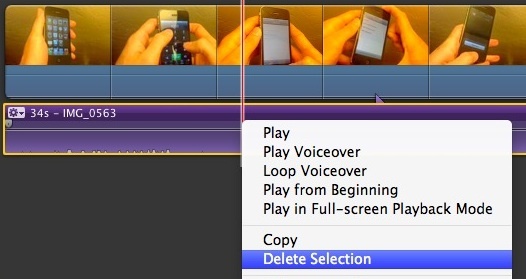 We’re going to show you exactly how to remove the audio track from any video file by using nothing more than iMovie. 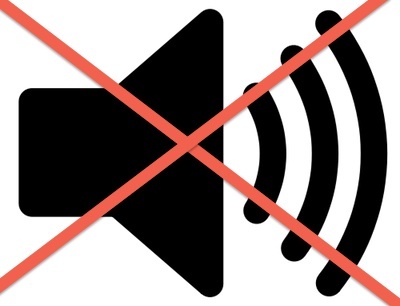 You may recall that we’ve shown you a few ways to extract the audio from a video file, but this is for those who to remove the audio track from a movie completely. Although audio removal can’t be done right in the Finder like extracting an audio track can be, it is very easy to ditch the background audio. Let’s learn how to do this with the help of iMovie for OS X, and yes this works with all versions of the app on just about every version of Mac OS software. There are other methods to do this using third party tools, but iMovie is bundled with most Macs these days and it makes quick work of the process. At this point, your video file no longer has any audio attached to it, so you can either record a new audio track, add a new voice over, add music or different tunes and sound effects, whatever you need to do for your movie. iMovie makes it easy in OS X, so happy video editing Mac users! Thanks so much for the tip. Finally I can get rid of that awful wind noise in my race car videos and replace it with some music. I knew there had to be a way and you made it so easy for me! Isn’t it easier to use QuickTime? Fortunately, I preserved QuickTime 7 (which works perfectly well in Mountain Lion) and because of it’s versatility, it is still my default video player. In QT7, cmd-J opens the Movie Properties and the movie is listed and underneath is the video track and audio track both with their respective encodings. All you have to do is select the track (vid or aud) and then click on either the extract or delete buttons at the top left of the window. Good tip, and yes it could be easier to use QuickTime 7 if you still have it installed, but most who upgrade between OS X versions don’t. It’d be nice if they had kept some of the editing features like that in the newest versions though! This totally works, and is the easiest method. I can attest that Quicktime 7 can still be downloaded from Apple as of today and runs perfectly fine on Mavericks (10.9). This is a Quicktime 7 Pro only feature, meaning you have to pay $29 to access Movie Properties. This is about iMovie, iMovie is free and comes with all new Macs. iMovie has nothing to do with QuickTime Pro and does not cost anything. You are wrong. Why does it not let me drag into library? You need to include where to drag it from just for dumb people like me who couldn’t figure out a computer on their own if their life depended on it. I struggled with this too. They should add a step explaining that you have to select the whole video in the event, using Command-A. Then it’s highlighted in yellow. From there you can just click anywhere inside the selected frames area and drag up to the library. If you want to remove sound from MP4, MKV, AVI, MOV, FLV,etc,you will need Avdshare Video Converter, the most powerful Sound Remover, to help you. With the Audio removal tool of Total Video Tools, you can import several videos of any format (MP4, MKV, WMV, AVI, MOV, FLV) at one time, then choose a format for exporting. No learning curve required.